The Elliott School launched its search for its new dean last week. The new dean will lead a school that has seen a rise in national prestige. The chance to lead one of GW’s most well-known schools is officially up for grabs. It’s a search that will go on for the next several months. 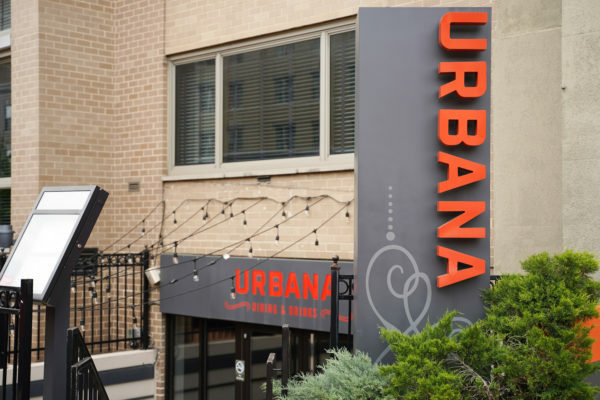 Jennifer Brinkerhoff, an international affairs and public administration professor who is chairing the search committee, said she’s confident the school will have a new dean in place by the start of the next academic year. 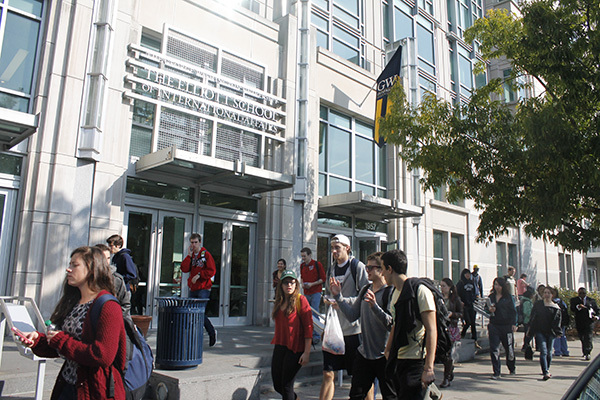 The committee and search firm will tout the Elliott School’s close relationship with the Columbian College of Arts and Sciences, which could help GW hire away one of its picks from an international affairs program with fewer resources. Brown had an impressive tenure: Under his leadership, the school’s endowment and the number of research institutes housed in the college both doubled. Top candidates for his replacement will have to prove to faculty that they’ll continue to build on those strengths. The committee will look for a dean who has a strategic vision for how to further boost Elliott, which is already a top-ranked international affairs school. Brinkerhoff said the new dean could expand into other areas, such as African studies, and experts said international affairs educators are also looking to build up courses about developing nations and changes in technology. Maurice East, who was hired as dean of the Elliott School in 1985 and now serves on the school’s advisory board, said the position has evolved greatly since he left in 1994. He said the changes he and his successors, Harry Harding and Brown, have implemented set the school on a track to become a top institution both within and outside of GW, and the new dean will take up a position that doesn’t resemble the one East held 30 years ago. East added that the new dean will have to oversee new areas of scholarship that were less relevant 20 years ago, including cyber security and the study of corporations that span continents. And faculty are looking for a leader who will be able to balance the ever-growing responsibilities of the dean’s office, from fundraising to dealing with administrative issues within the school. Deans are responsible for spending at least 40 percent of their time raising money. 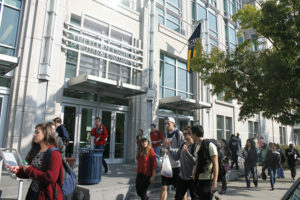 Bruce Dickson, a professor of political science and international affairs and a member of the dean search committee, said faculty and staff at the Elliott School have asked for candidates with experience navigating academia, but also can speak to how an international affairs education is applied in the real world. The school has been touted for having faculty who are former or current policymakers and researchers, meaning students can access a strong base of knowledge and combine it with the realities of dealing with international issues outside of the classroom. Dickson said he hopes whoever is considered for the position would help to improve the already strong international affairs school. The Elliott School launched the search for its new dean last week. The new leader will look to elevate the reputation of a school that is already highly ranked. Brinkerhoff, who hasn’t been part of a dean search committee before, said she’s not sure when the committee will start narrowing down semi-finalists. Once there are enough applicants in the pool, the search committee will choose which candidates to invite for airport interviews, which are shorter interviews held off campus with about 10 to 15 semi-final candidates. From that group, the committee will select a smaller group to visit campus. 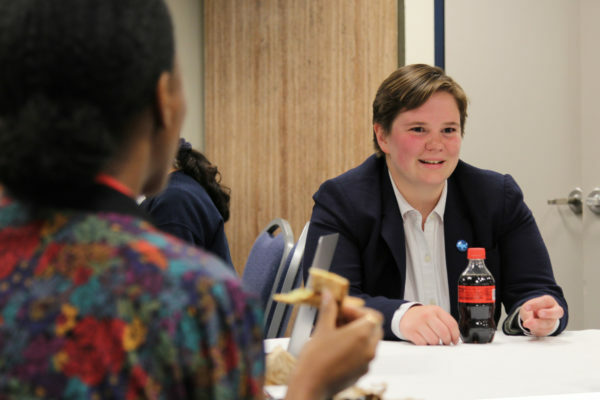 Once on campus, candidates will meet with a variety of stakeholders, like students and faculty in the Elliott School. But Brinkerhoff said she also wants to make sure they meet with staff members and as many other deans as possible. 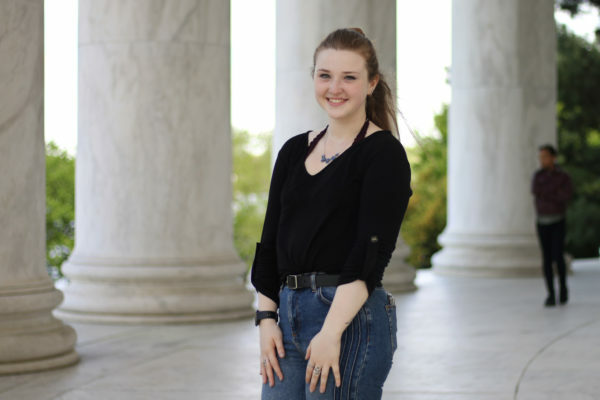 She’s already met with GW’s most recently hired deans – Ben Vinson, Linda Livingstone and Blake D. Morant – to learn about what drew them to the University and what their application process was like. The arrival of a new Elliott School dean will mark the first time that Knapp will have 10 deans that he’s selected at the helm of each college. Knapp has recruited three deans from Johns Hopkins University, where he served as provost before coming to GW. After his first picks to lead the business and law schools had their tenures cut short, he tapped deans that already had years of experience in deanships. While deans often need experience with the inner workings of the academic world, that experience isn’t especially important for the Elliott School, said Donna Oglesby, a diplomat in residence at Eckerd College. Carmen Mezzera, executive director of the Association of Professional Schools of International Affairs, said because faculty come from varied backgrounds, it was important for a school to have a leader who could communicate with anyone. She added that the new dean will not only have to know the challenges of international affairs, but understand how the school functions.